You'll be £15.00 closer to your next £10.00 credit when you purchase Deadlines on the Front Line. What's this? Moorcraft covers a variety of information in a highly compelling fashion which captures a reader’s attention from start to finish. His exploits include global travel to primarily war zones in a highly readable text with superb insights into the man himself and his unusual world. The locales are both exotic and well known and the associated information and stories even covering his thoughts and opinions on the latest US presidential race and Brexit. I found his writing style to be outstanding and would highly recommend his work to those familiar with his work and for first time readers. I also enjoyed the maps and drawings in addition to the bevy of photos. 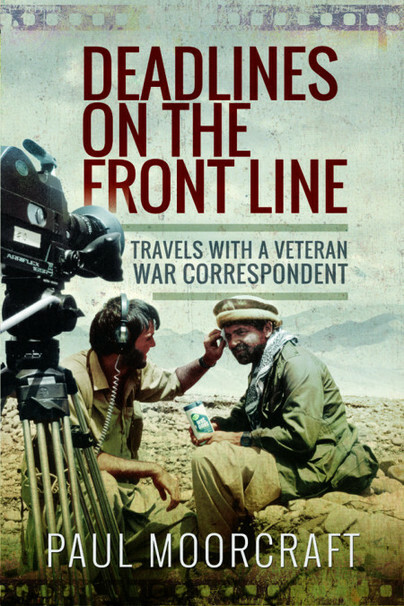 Great commentary and overview of many places, people and conflicts, it will place you in the front lines as you travel alongside Moorcraft in his 230 pages of adventure. It was hard to place my favorite chapters either from the African or Asian sections and I look forward to reading more of his published works. Excellent value for the asking price, a veritable wealth of knowledge explored and detailed for the reader. It's a thoroughly engaging read with an honest clear sighted view of the world without trying to conceal anything as is so often the case with the media or to add his own personal agenda. Buy this book and read it during a boring meeting at work, or behind your PC screen the day will flash past in joy and laughter.